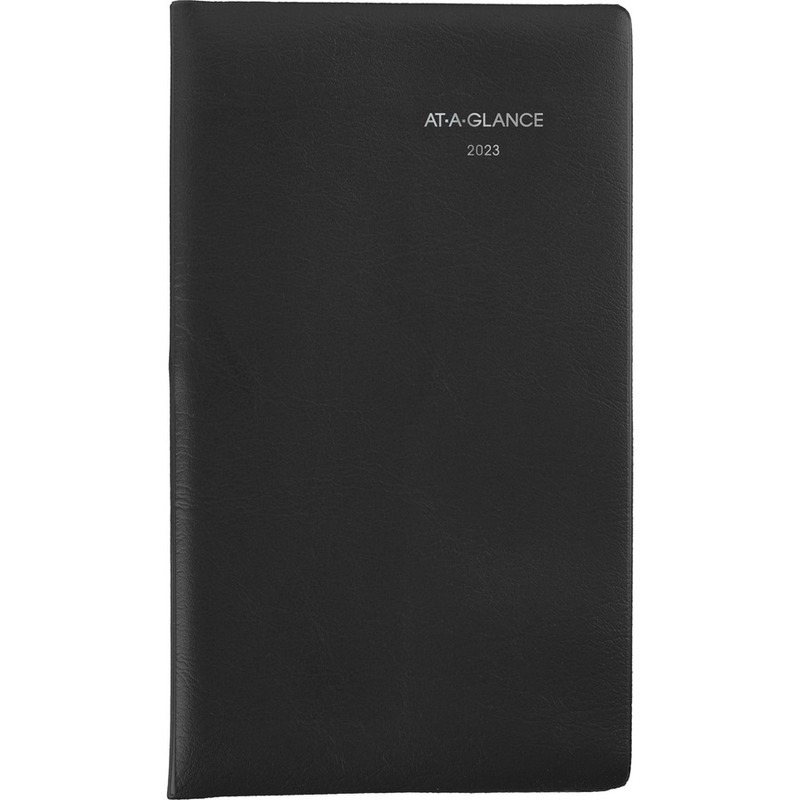 Pocket appointment planner offers an open planning format so you can be the boss of your weekly schedule. Dated planning pages range 12 months from January to December. 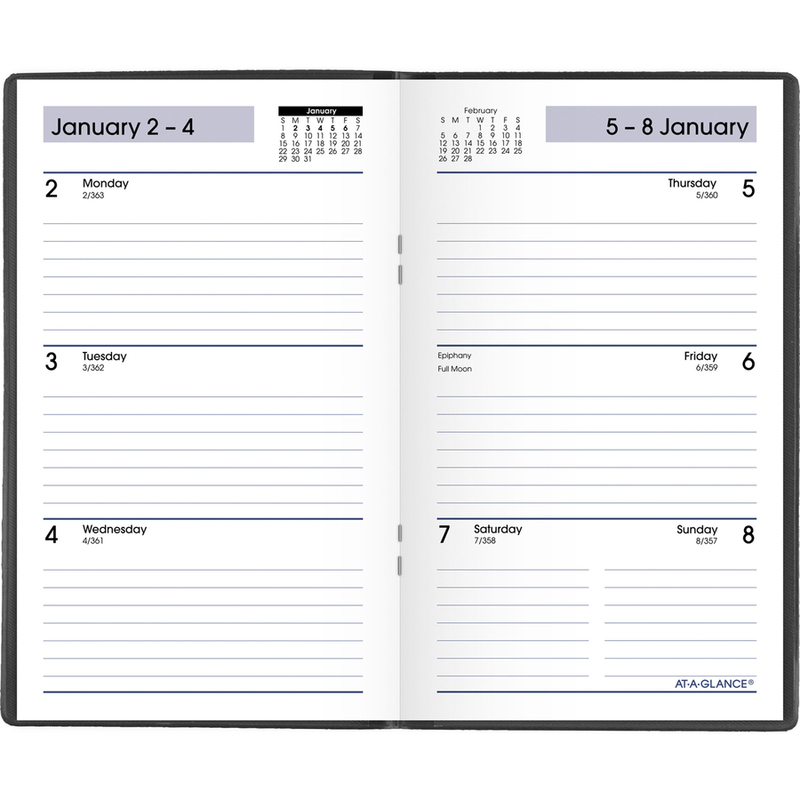 Two-page-per-week spreads include ruled daily entries with no appointment times for flexible planning, Monday-through-Sunday scheduling, count of days/days remaining, holidays, and current and future months reference. Pages are printed in a two-color format in black and blue ink on recycled paper. 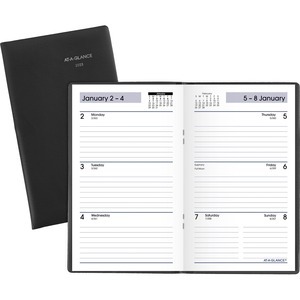 Bookbound planner also features a simulated stitched cover and is nonrefillable.